Children have very tender and delicate hearts and minds. 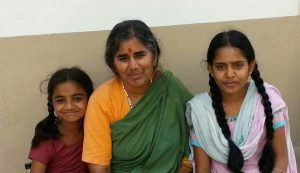 In September 2007, Mother Meera opened her home in Madanapalle, India to children whose families could not support them. After seeing their long and arduous walk to school, Mother opened a school next to her home. Since then, Mother has shared her vision of providing children in India with a high quality education in schools managed and structured by western standards. Her schools utilize a child-centered learning approach and are supported by volunteers. With her continued commitment to this vision, Mother now enrolls over 1,000 students in her multiple schools. Volunteers are always needed. If you are able to spend a month or more in India, this is a wonderful opportunity to be of service and support the children there. Please visit the India school website to learn more about the schools and the many opportunities to volunteer.